There is an opportunity for everyone to get involved with the Canadian Association of Occupational Therapists in a way that is meaningful to you: from moderating a session at CAOT’s conference to running for the Board of Directors, writing exam questions or meeting the public at a tradeshow. the University of British Columbia and British Columbians at the University of Alberta. 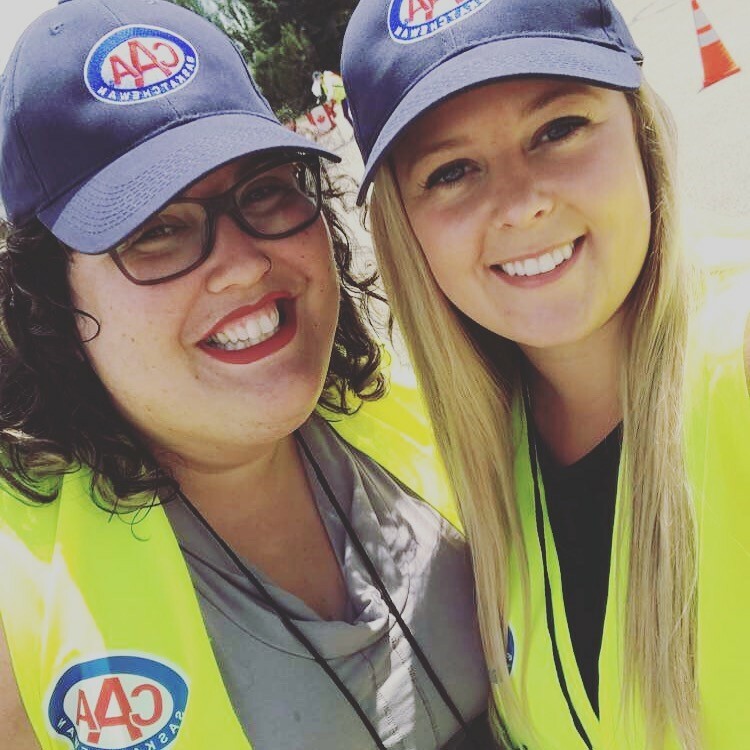 Our motivated team is effective because of our diverse member representation and passion for OT, and because we have built relationships within the committee and with CAOT-BC members. Being part of the AC (as Chair since 2016) has been formative in my professional development. I have been supported in advocating for the value of OT by attending networking events at the BC Legislature, participating in government consultations, attending events and tradeshows, meeting with interdisciplinary colleagues, contributing to the development of resources/information for the public and for OT’s, and on and on. 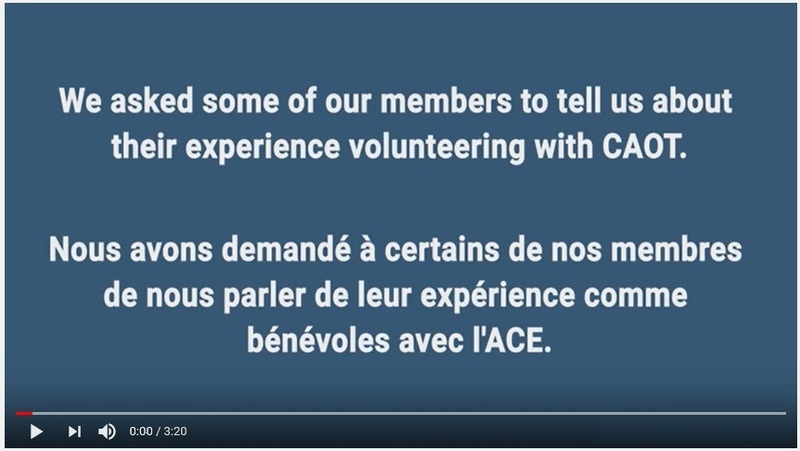 “Why get involved as a volunteer in CAOT? The reasons are numerous. It could stem from the desire to contribute to the development and recognition of the profession, to improve the practice, to have a concrete impact for sustaining occupational therapists in our wide range of fields and be proud of what we accomplish together, to give back to our network, to be involved with the next generation of OTs, to have an opportunity to share in order to develop collaborative efforts between different regions to enrich, innovate and promote our profession. 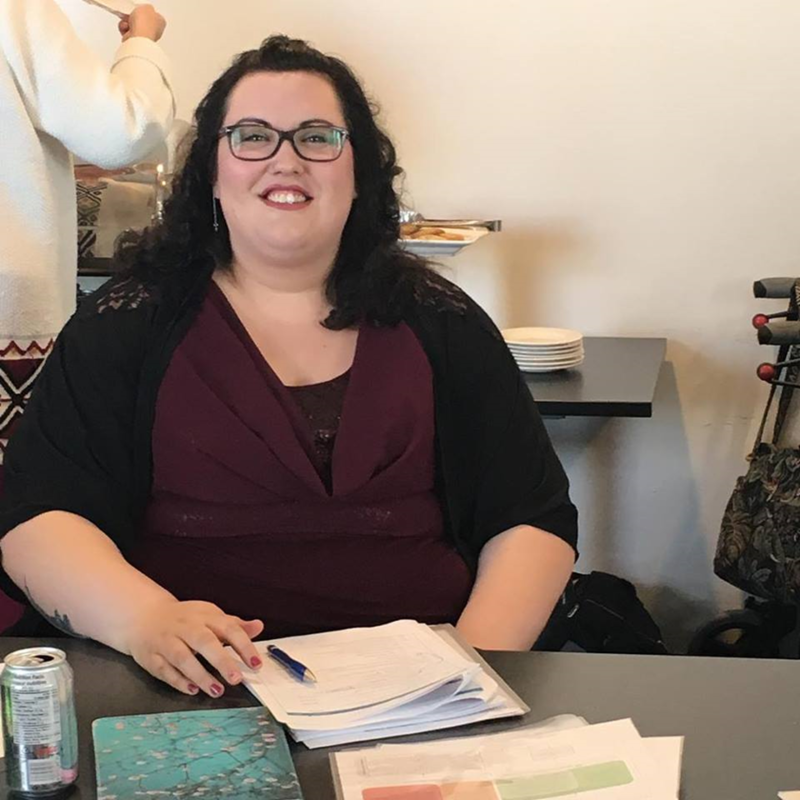 The above mentioned reasons are some of many for which the advisory committee members of CAOT-Qc got involved with the organization as volunteers. CAOT-Qc is an associative movement that has, as part of its mission, the promotion of the profession and to sustain its members through diverse activities. As part of the committee we have the privilege to try to facilitate the information sharing and to participate in the coordination and planning on actions that respond to provincial issues related to occupational therapy in order to support our professionals and advocate for the profession. “I began as a member of the CEC in 2011 when a colleague from my province was leaving the group. The opportunity came at a time when I was looking for a new purpose beyond my day to day clinical practice. Volunteering with the committee has given me opportunities to get outside of New Brunswick, use my clinical expertise, collaborate with colleagues, learn about the exam process and gain knowledge about how individuals are prepared for the profession. While our meetings can be challenging and exhausting, there is a collective positive energy and purpose that keeps me wanting to continue to participate. Most importantly volunteering with CAOT has provided me with new friendships and connections that will last beyond my involvement on the committee. I guess it is the reason I have extended my participation for so long! The CAOT certification exam committee (CEC) ensures that the national OT exam is current, reliable, and valid. The CEC consists of front line OTs and academics. The committee meets twice a year. My current role with the CEC is chair elect. 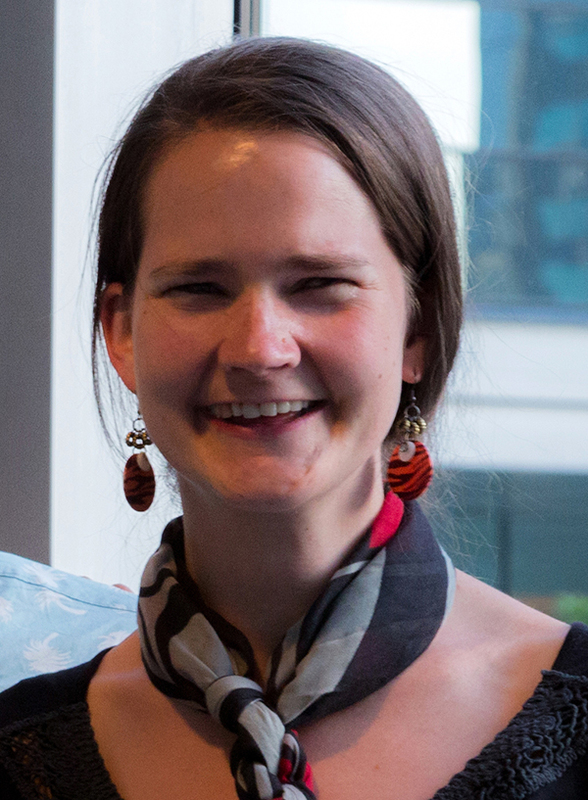 Danielle Hogan – past Chair of the Certification Examination Committee (CEC). Thank you to the CAOT members who shared their volunteer story with us. Thank you to Catherine Backman, Paulette Guitard, Denise DuBois and Mary Forhan for participating in this membership video.